Jackson, MI (Healthy World News; 11-26-10) It looks like “PharmaFascism” has defeated religious freedom in America. Dr. Timur Baruti’s patient, Michelle Cochrane, 20, arrived at his office completely upset over Jackson County’s Judge Susan Beebe’s ruling that she get her 2-year-old daughter, Brooke, injected with five vaccines, or go to jail, pay a fine, and even have her child taken from her. According to Dr. Baruti, a Michigan based family physician who was interviewed on the Insight Hour on BBSRADIO.com, by Sherri Kane and Dr. Leonard Horowitz (archive available here), the 35-year-old judge’s decision was based largely on her personal beliefs about vaccines. Beebe sentenced Cochrane on November 22, 2010, because she had gotten her own three children vaccinated, and believed it was the right thing to do, according to the child’s grandmother, Amy Martin, who attended the sentencing. Judge Beebe was reported “unavailable for comment” when telephoned for an interview. It appears that Beebe’s ignorance about vaccination risks, and blind personal bias, has set a demonic precedent in the United States, violating constitutionally guaranteed religious freedom by completely disregarding the Immunization Waiver Form, signed and submitted by Cochrane as allowed by the State of Michigan’s Department of Community Health for all religious and philosophical objectors. By Beebe’s fascist ruling, she now places the child at risk for a host of life-threatening illnesses, such as cancer and autoimmune diseases, as well as mercury intoxication linked to autism. Beebe’s decision completely contradicts what she said in a 2008 interview for MLive.com, claiming that as family court judge, she hopes she can work to make families safe and healthy. “This is a case if judicial misconduct and overstepped authority,” Dr. Horowitz said about Beebe condemning a mother and child to a lifetime of sorrow, if any one of the eighty-six common autoimmune diseases linked to childhood vaccinations result from her ruling. Dr. Horowitz has been at the forefront of vaccination risk awareness since 1996 with the publication of his award-winning text, Emerging Viruses: AIDS & Ebola–Nature, Accident or Intentional? This book links pandemic AIDS, nerve injuries, cancers, respiratory ailments, and inflammatory diseases to vaccine ingredients and lab animal contaminants. He places the origin of HIV/AIDS in Merck pharmaceutical company’s experiments in New York co-sponsored by the Army, the CDC, FDA, and NIAID. In March of 2008, Beebe was Governor Jennifer Granholm’s pick for County Family Court, a very young judicial appointee. Before that, she worked in the prosecutor’s office for six years. Dr. Baruti regrets Beebe’s medical ignorance and potential harm her unjust ruling has on his patients and the nation. Court rulings promoting such risky vaccines evidence the global depopulation agenda as presented by Bill Gates. Gates, and leading globalists that include central bankers, powerfully impact public opinion and legislation upon which the entire vaccine industry advances. This is beautifully exposed in Dr. Horowitz’s latest film PharmaWhores: The Showtime Sting of Penn & Teller. According to BigPharma’s propaganda, “effective vaccines could save 30 million lives by 2030,” said Jerald Sadoff, president of a vaccine foundation that received $200 million from Gates to test new vaccines. Dr. Horowitz’s book, Emerging Viruses: Aids & Ebola: Nature Accident or Intentional? records how many man-made plagues were developed in labs controlled by pharmaceutical profiteers, now celebrating Judge Beebe’s ruling. He attributes Beebe’s decision largely to the fact that Cochrane, a single mother, fighting for custody rights with her pro-vaccine x-husband, signed for social assistance, giving the government virtual title over Brooke’s fate, including legal responsibility for the vaccination decision. More History Making News & Views. . . . It seems the Illuminati want you to consider Building Number 7 as evidence for a US Government conspiracy. The huge structure turned to dust six hours after the twin towers collapsed. The evidence implicates Bush, Cheney, Rockefeller, and the Goldman Sachs (GS) gang, including Murdoch and Larry Silverstein. Murdoch is Co-Chair, with GS’s Lloyd Blankfein, of the Partnership for New York City exclusively responsible for all the financial profits and losses from 9/11. Silverstein, who leased and insured the towers, is also a partner in the group. “17. By such measure we shall obtain the power of destroying little by little, step by step, . . . the constitutions of States to prepare for the transition to an imperceptible abolition of every kind of constitution, and then the time is come to turn every form of government into OUR DESPOTISM. Thus, Murdoch and his partners, on behalf of the Illuminati, wish you to detest the US Federal Government (not Goldman Sachs/JP Morgan CHASE that directs it); and prepare to pick up arms in a bloody revolution. DON’T DO IT! THEY HAVE ALREADY LOST TO THE 528LOVERevolution. Also on FOX, spilling beans of truth from his boss’s pot, is Glenn Beck. He has complained, in recent days, about a globalist conspiracy killing America. Duhhhhh! What else is new? Tell Beck, an alleged “faithful Mormon,” to do something meaningful with his position, like promote the Spiritual Renaissance instead of World War III with anti-American New World Order propaganda. Refer him, and other celebrities, to LOVE528.com and i528Tunes.com–the most powerful peace and prosperity movement in the world. Gaspar Llamazares, a lawmaker for the United Left party (shown in three-out-of-four photos on the left) stated to ABC News that he was horrified the FBI knowingly used his features for a U.S. Poster of Osama Bin Laden. The alleged updated photo of Bin Ladin appeared on a U.S. State Department Web site where a reward of up to $25 million was offered for C.I.A retiree, Bin Ladin. This answers the big question, ‘Did they really ever want to capture him? Llamazares said he planned to ask the U.S. government for an explanation and reserved the right to take legal action. Remember folks, ABC/Disney/GoldmanSachs is also responsible for bringing you controlled opposition celebrity, Michael Moore. A new mainstream documentary called “Inside Job,” points the finger at Goldman Sachs and other Wall Street giants, for creating the ecomomic collapse. But, the mainstream has failed to mention who is really pulling the strings….Rupert Murdoch, David Rockefeller and the Bush clan, the Rothchild League of Bankers, the Royal Family of England, and George Soros, too, as Glenn Beck accurately warns. Check out the new independent documentary by Walter Burien titled, The Corporation Nation made for “We the People” about corporate governance and America’s fascist dictators. Special Announcements . 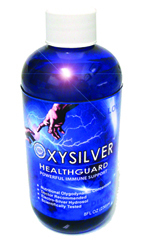 . .
OxySilver is introducing OxySilver Professional to the general public for ORAL use only. OxySilver Professional was previously available by prescription only through licensed medical doctors for use with “crashing” patients in infectious disease wards or plague areas. It is twice as concentrated as regular OxySilver, and has tested effective against everything we have seen so far sourcing from BigPharma’s bioweapons labs. DON’T MISS PURCHASING PHARMAWHORES, NOW AVAILABLE IN A RAW OR BLEEPED VERSION, FOR FUND-RAISERS, RELIGIOUS GROUPS, AND COMMUNITY EVENTS. LEARN ABOUT THE CONNECTIONS BETWEEN BIG PHARMA AND THE MAINSTREAM MEDIA AND FIND OUT WHERE ALL THE MONEY WENT TO REBUILD THE WTC.